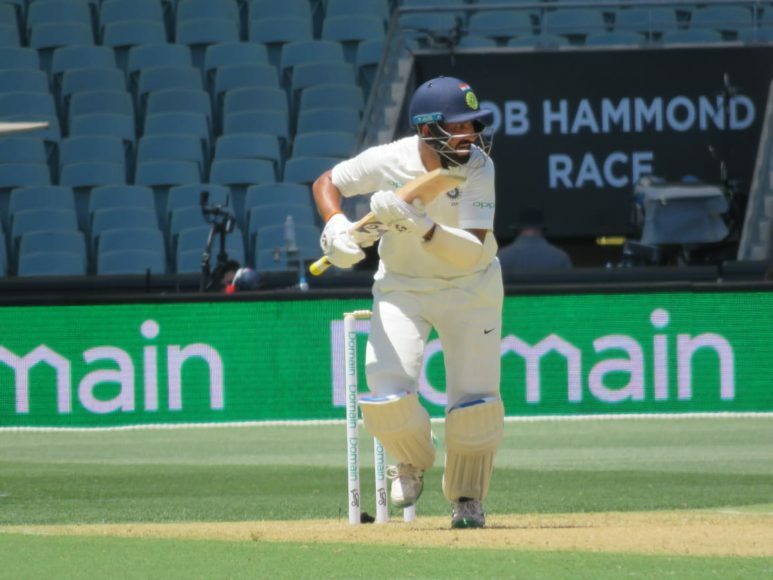 India had a pretty ordinary start to the test series as they were struggling at 143/6 at the end of afternoon session in the Adelaide test against Australia. Earlier in the day, Indian captain Virat Kohli won the toss and opted to bat first on a batting friendly wicket. 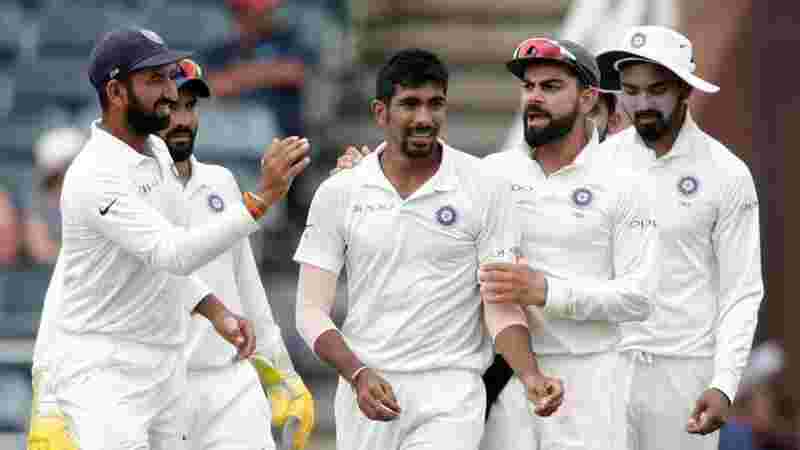 Lot was expected from Murali Vijay and KL Rahul who were expected to create an impact after good outing in the practice game against Cricket Australia XI. Mitchell Starc(1/30) and Josh Hazlewood(2/28) troubled the Indian top order. KL Rahul perished playing a rash shot and edged it past to Aaron Finch at slip. Murali Vijay looked set at 11 and played couple of good cover drive which later became the reason of his dismissal. He went for a cover drive in the 7th over bowled by Mitchell Starc but ended up edging it past to the keeper Tim Paine. 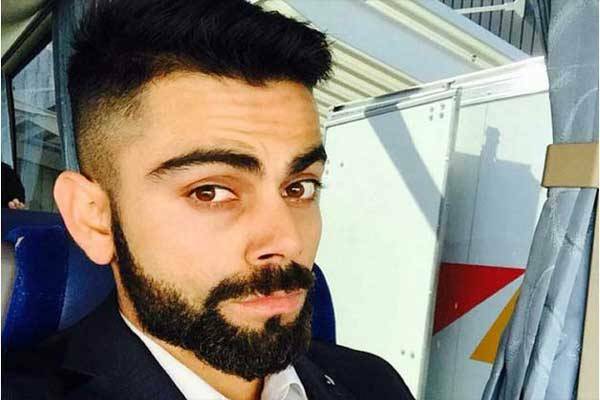 Skipper Virat Kohli came out to bat early in the innings but could not last longer courtesy of a brilliant reflex catch by Usman Khwaja at Gully off Patt Cummins(1/31). Mr. dependable Cheteshwar Pujara and vice captain Ajinkya Rahane(13) spend some time on the crease, facing 59 balls together. Rahane looked in some sort of bother facing Lathan Lyon but it was Josh Hazlewood who got the better of him. Rahane was the fourth Indian batsman who perished playing a cover drive in the test match. Rohit Sharma and Pujara then took over the proceedings and added 45 runs for the partnership. The two batters ensured that India does not lose any further wickets in the morning session. In the afternoon session, Rohit played some delightful shots which included three sixes but it was his greatest strength that became his weakness. He hit Lyon(2/53) for a monstrous six on the first ball of 38th over but on the very next ball, he again played a gamble by using his feet but ended up top edging it to Marcus Harris at deep square. Rishabh Pant joined Cheteshwar Pujara but the former batsman didn’t looked in great touch right from the first ball he faced. He later went on to adapt his natural style of play and hit two fours and a six. However, his defensive approach against Nathan Lyon proved fatal for him and he ended up edging the ball to the keeper. Cheteshwar Pujara(46) and R. Ashwin(5) are currently on the crease and will look to take the Indian total past the 200 mark. Average score at Adelaide Oval, batting first is 450+ and it is unlikely that India will touch that figure considering they have lost six wickets.